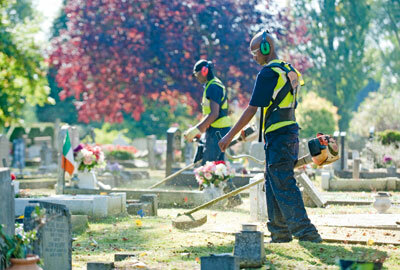 The charity, founded in 2005, helps ex-offenders enter the job market by offering them six-month contracts working in ground maintenance and regeneration. At present, 75 per cent of offenders find it hard to get work when they are released, and 60 per cent reoffend. Blue Sky believes ex-offenders can be prevented from reoffending if they find work, and the reoffending rate among those it has worked with has dropped to about 15 per cent. Blue Sky also boasts encouraging statistics for getting ex-offenders back into longer-term work. So far this year, 78 per cent of the people on its programmes have become employed for 13 or more weeks – the government’s definition of sustained employment. The charity has grown rapidly over the past seven years. It has worked with 584 ex-offenders, holds 17 contracts and has grown at an average of 36 per cent a year since 2007. In recent years, it has steadily reduced its reliance on grant income and now makes 57 per cent of its money from commercial contracts, with only 37 per cent coming from grants from trusts and foundations. It now wants to secure more contracts in more business areas and to increase its geographical spread to the whole of the UK. It aims to create 160 jobs over the next year while maintaining a reoffending rate of no higher than 20 per cent.